No matter who your dad is, what type of bike he rides; where, when and why, Father’s Day is the perfect day to spoil him with something new. We’ve put together a list of gift ideas from some of our favourites. 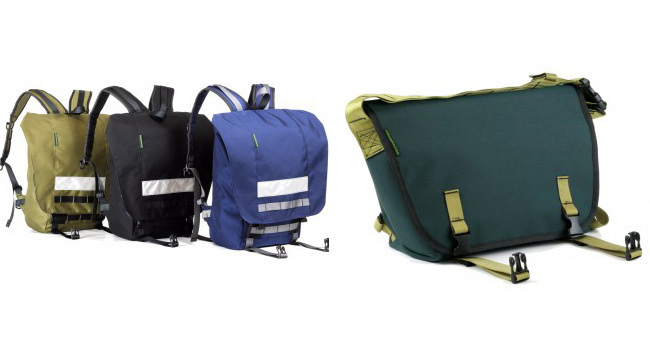 Whether dad’s a commuter or a roadie, pops down to the shops for a litre of milk now and then, or enjoys a weekend of gravel grinding, a backpack or messenger bag from Brisbane’s BoGear is guaranteed to be gratefully received. Check out their full range online, there’s a special offer on shipping within Australia at the moment too! 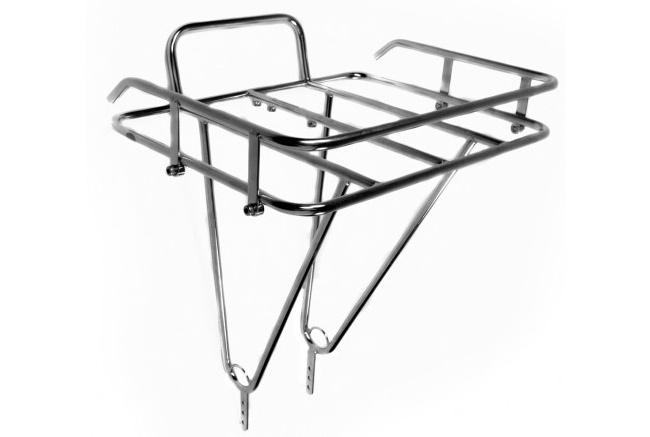 There’s nothing more stylish, and functional, than a porteur rack. This one from Velo Orange is our favourite and sure to be appreciated by the dad with an eye for a stylish bike. Ask your local bike shop if they stock them or order online. 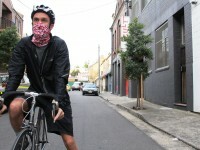 Tread and Pedals have combined their love of recycling and bikes to come up with a whole range of accesories guaranteed to remind your dad of his bike even when he isn’t on it. 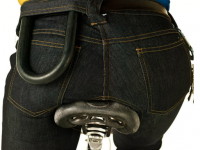 Make sure he keeps his pants on with one of these belts, fashioned from recycled bicycle tyres. With spring in the air it will soon be time for dad to show off his chiselled calves. What better way to do it than in these fabulous shorts from Creux? 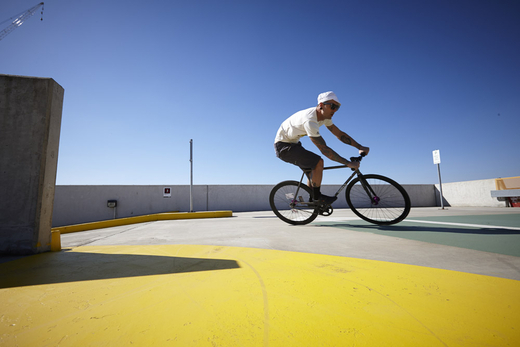 The Detour cycling shorts are fashioned from materials with technical specifications guaranteed to make dad’s cycling more comfortable and designed to support a cyclists movement instead of fighting it. For the newer dads out there what could be better than sharing the ride? Yepp have a range of child seats suitable for kids from 6 months to six years. Check out the full range of front- and rear-mounted seats to be be sure of choosing the right seat or pop down to your local bike shop and chat to them about it. 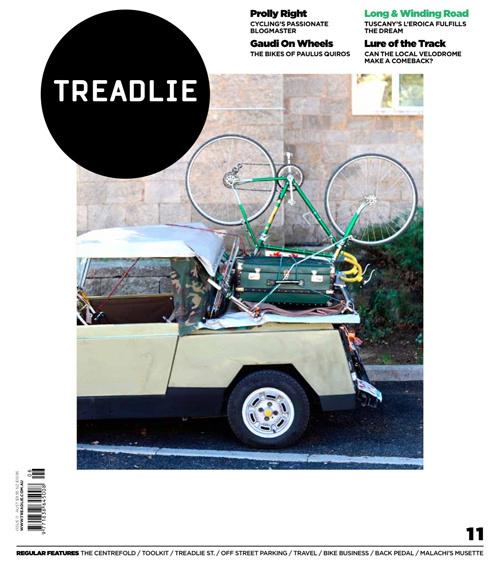 Of course, we may be biased, but we also think a Treadlie subscription would make a great gift for dad and a reminder throughout the year of just how much you appreciate him! You can check out all the details of how to susbcribe here.